Cybersecurity solutions provider, WhiteHawk (ASX:WHK), has made a placement to RiverFort Global Opportunities PCC Ltd, a UK institutional investment manager that invests in high growth companies. The placement will see WhiteHawk raise A$1.2 million, before costs, at 6.5 cents per share. The funds will be applied as A$400,000, less costs, to working capital. These funds will support additional 360 Cyber Risk Review contracts, a push into the global insurance sector for cybersecurity products, and channel marketing of the WhiteHawk Exchange, the company’s online decision engine based cybersecurity marketplace. The remaining will comprise a A$800,000 equity swap with RiverFort. The intention is to enable WHK to benefit from anticipated rises in the share price during the equity swap period. WHK expects that rising revenues and potential additional 360 Cyber Risk Review contracts with US Government and US corporations in the insurance, utility, defense and financial sectors, will lift the share price to its benefit under the equity swap. The equity swap is expected to have a term of 12 months but may be extended or settled earlier, depending on monthly trading volumes of WHK shares. WHK will receive the A$800,000 in equal payments each month over the 12 months. It will also receive 50% of the difference between 7.15 cents (benchmark price) and the monthly 10-day volume weighted average market price each a month. Or, if the market price is below the benchmark price, WHK will receive that month's portion of the principal amount less the difference between the market and benchmark price. This is Riverfort Global Capital’s (the investment manager of RiverFort Global Opportunties PCC Ltd) first equity swap on the ASX, following a number of successful similar transactions in the UK. The group has extensive industry knowledge and experience and provides growth funding solutions to publicly listed and private companies. Additionally, WHK today released its quarterly report for the period ending December 31, 2018. Sale of a 360 Cyber Risk Framework to a top 12 defense industrial base customer and a contract extension with a top 10 financial institution. Cybercrime Support Network Fraudsupport.org website became active with WhiteHawk referral connection December 2018. Phase 1 implementation of 360 Cyber Risk Framework for U.S. Government has resulted in substantial maturation of WhiteHawk Cyber Scorecard offering that will benefit all WHK customers. Phase 2 scoping of the US Government contract in progress. Advancing strategic partnership offering for major financial institutions and insurance groups to service their SME customers with cyber risk ratings and risk mitigation. Technical and data science team meeting platform benchmarks – updated website, AI tool and online customer journey and maturity model. Monthly operating cost reductions remain in place. WhiteHawk ended the quarter with a strong balance sheet with US$1.29 million cash. Cash collected during the quarter increased over the prior quarter by US$195,000, for a total of US$385,000. Accrual basis sales for fourth quarter were US$412,000 with US$398,000 resulting from the sale of the 360 Cyber Risk Framework. 2018 closed with total accrued revenues of US$756,000 with US$108,000 uncollected invoiced and outstanding at December end. Based on sales to date and discussions with customers, WHK anticipates that there will be increased revenue and rate of revenue growth from its 360 Cyber Risk Framework sales in 2019. The company states that in response to results of a customer engagement survey conducted last year, it has shifted its sales focus. Sales to the US defense industrial base and US Federal Government of the 360 Cyber Risk Frameworks, and to strategic partnership proposals with US financial institutions and insurance groups for SME customer services, have taken on new importance. The US utility sector was also targeted in the fourth quarter. The US defense industrial base and Government supply chain and vendor company risk regulations and business drivers currently in place to implement Risk Frameworks in a timely fashion, is proving to be a more mature sales market. Extensive research with the utility sector has shown that further regulation is required before this sector will focus on the cyber risks of their vendors or partners — hence WHK’s continued focus on the US Department of Energy. WhiteHawk maintains a strong pipeline of more than 50 potential customers in mature stages of business development across the defense industrial base, U.S. Government, and financial/insurance sectors. The company expects three additional sales of the 360 Cyber Risk Framework and one strategic partnership with a bank or insurance company in first quarter 2019. One of the target frameworks has 3200 companies and the strategic partnerships connect WHK with tens of thousands of SME customers. Whilst still early in its operations, the Cybercrime Support Network website offers a new automated approach for reporting online crime and fraud. 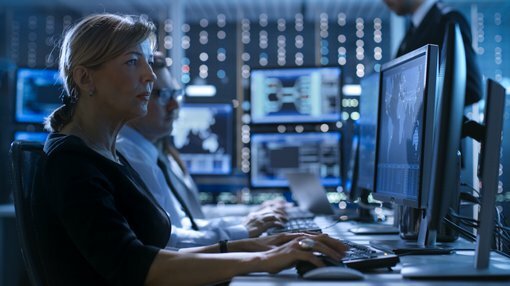 This has the potential to deliver a consistent low level stream of revenues from companies reporting a cybercrime or breach that are in need of immediate, impactful and affordable cyber response services. Leveraging the key lessons learned from 2018 sales channel partnerships and 360 Cyber Risk Framework contracts, a WhiteHawk subscription model / service catalog is under development. This catalog is being mapped to the 360 Cyber Risk Framework offering, allowing customers to tailor the framework deliverables to meet their business risk objectives. Service levels will be offered at the silver, gold, and platform subscription levels with matching price points. Such an approach also enables timely quotes and proposals across all large industry and government customers, standardising the level and delivery of Risk Framework analytics, reporting, and services.